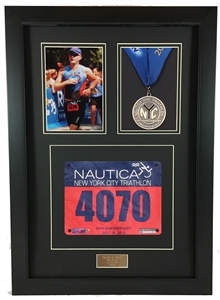 Now you can capture your moment of victory and display your 5 x 7" race photo*, finishing medal*, race bib* and race information just like a professional in minutes with our ready-made Triumph Expo Framing Kit. Preserve your ultimate racing achievement in a professional high quality display. The Triumph Expo Frame was designed for the classic at-home, comfortable feel. 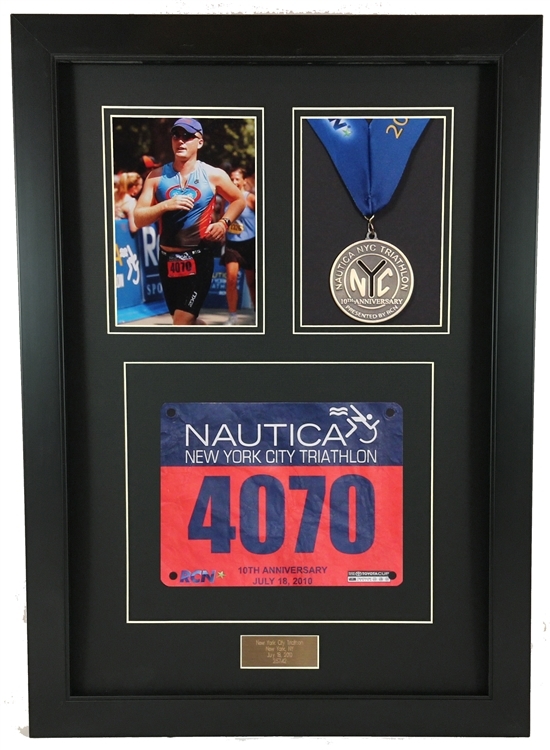 Our clean profile frame draws your attention to the photo*, finishing medal* and race bib* showcased inside the frame and blends smoothly into most interior design styles. The Triumph Expo Frame looks great in any home or office. Available in Satin Black Only. All frames come with our premium classic Black Manor double matting system. The Triumph Expo Framing Kit comes with everything you need including easy to follow step-by-step instructions. No tools are required. 100% Satisfaction Guarantee.